Most modern day browsers have a tabbed interface and made it easier to switch to different webpages easy and also save a lot of taskbar space.Windows 7 also has a nice little feature called JumpList which also helps save space in the taskbar but we cannot switch easily between the files opened and show up vertically in the taskbar under the MS Word icon.If you are working with many MS Word Documents then you can make your work faster by trying Office Tabs Addin which enables a tabbed interface for switching between Word Document Files in MS Word. 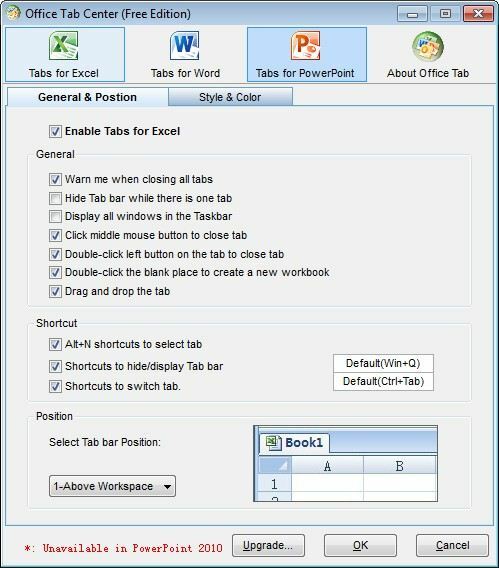 Once the installation is complete, you should find a new placeholder titled “Tabs” under Add-ins Tab in MS Word which should show the File Names of the other Word Documents and can be switched between easily. Each MS Word document can be closed individually by right clicking each tab and click “Close – To close the selected Word Document” and “Close From This Tab – Closes all the open documents but leaves MS Word Open”. New Word Documents can also be created by right clicking on any tab and selecting “New” from the menu. 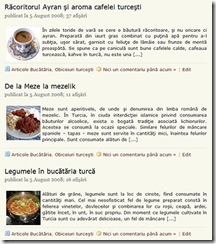 Useful Context Menu – Create new tabs, close documents from the tab context menu. 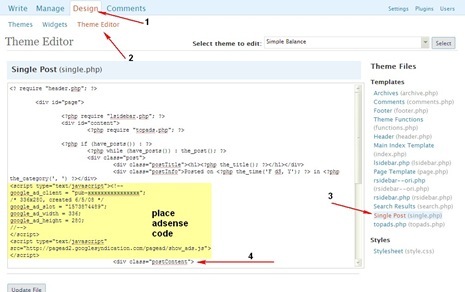 The placement of the tabs bar can also be changed to either Top, Left , Right or Bottom. 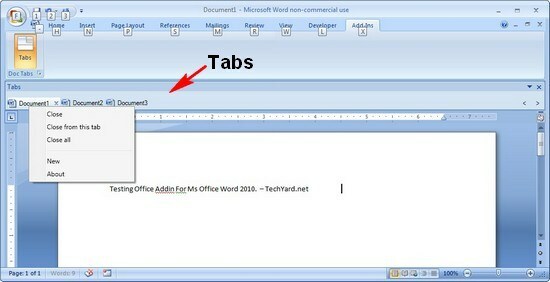 Office Tabs can be configured to each Office Application separately from the “ Office Tab Center ” .